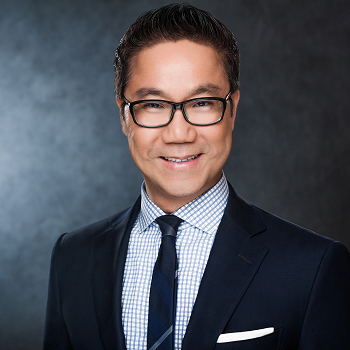 Jason S. Min is a Wealth Advisor with Eagle Strategies LLC, A Registered Investment Adviser and has been providing clients with customized wealth management solutions for over 15 years. He is driven and passionate about his specialty- helping clients build wealth, protect assets, and develop tax efficient** succession plans within their trusts. Jason offers unbiased fee-based financial planning and investment advisory services. Eagle Strategies LLC is a specialized and an independently operated affiliate of a Fortune 100 company. We have over 50 in-house counsels with certifications in law and accounting for advanced planning. Jason and his associates will map out a high-caliber financial path for his clients. At Eagle Strategies our focus is on advice, creating solutions that fit the unique business succession and asset management needs of our clients. We use a fee-based “assets under management” approach, which helps to ensure that our interests are always aligned with yours—to protect and potentially grow your investments. Through our various investment programs-ranging from separately managed portfolios of stocks and bonds to mutual fund adviosry accounts -we can personalize your investment portfolio to help you meet your financial goals. Click here to see an overview of client services process. He works with owners of privately held businesses, corporate executives, and high net worth families or individuals. My ultimate goal is to crystallize clients’ financial objectives and to be a catalyst in implementing customized plans. Overall, my passion is to help clients obtain a sense of personal and financial well-being, regardless of how simple or complex their needs may be. Through Eagle Strategies, my clients have access to fee-based financial planning as well as fee-based money management. Please use my Web site as a resource, and do not hesitate to contact us for additional information or to schedule a meeting. Thank you for your interest.